The latest action attraction for all the family. 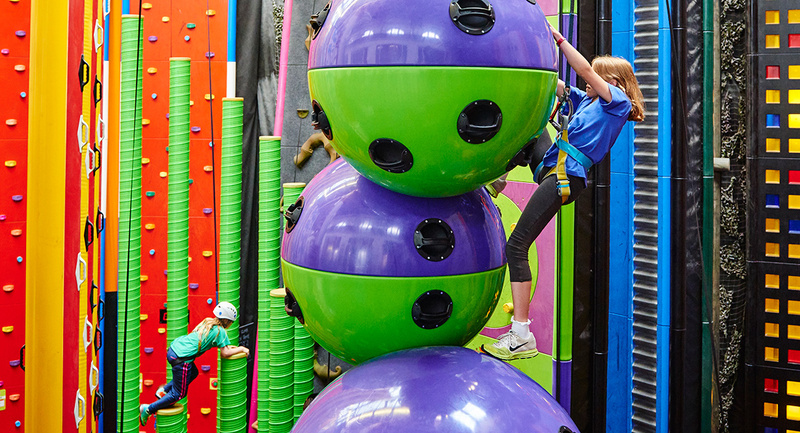 Thrilling fun for everyone with cleverly designed climbing challenges at Europe’s largest indoor climbing arena just outside Edinburgh. Reaching new heights never looked so good! 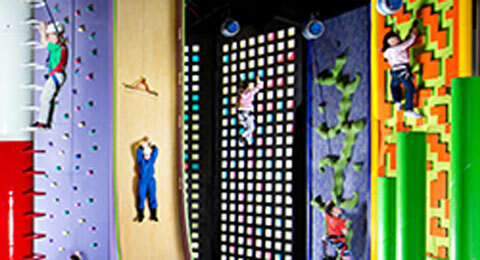 Challenge yourself or challenge your friends and family with 15 climbing elements providing a range of features and levels suitable for children and adults. Don't worry if you've never climbed before, it's suitable for beginners. We offer a maximum of 20 places per one hour session so you have plenty of space and time to climb. Advanced booking at weekends and during holidays is highly recommended. At EICA:Ratho we're always looking for ways to improve your experience and we are pleased to introduce the new Belaymate climbing safety device for Clip 'n Climb. Belaymate is a high performance connection device which allows climbers to "self-clip" (following a staff demo) to access the walls without waiting for a member of staff to clip/unclip you on the ground. It's 100% secure and will allow you to climb more elements and have more fun, in your own time and at your own pace. Get a taste of the action in this short Clip ‘n Climb video - the smiles say it all! No experience required. Climb any challenge on your own, gain a real sense of freedom and achievement whilst playing safe with the unique Clip ‘n Climb auto belay system which makes climbing easy, reassuring and mountains of fun. Each challenge offers different levels of difficulty. Take it easy or choose a harder route if you’re up for a challenge - you decide! Test your resolve and determination on Twister, climb against the clock on the Speed Climb, step up on the Stairway to Heaven, light up the board on the Checkerplate or take a ride on our Vertical Drop Slide. Clip on and up and away you go! 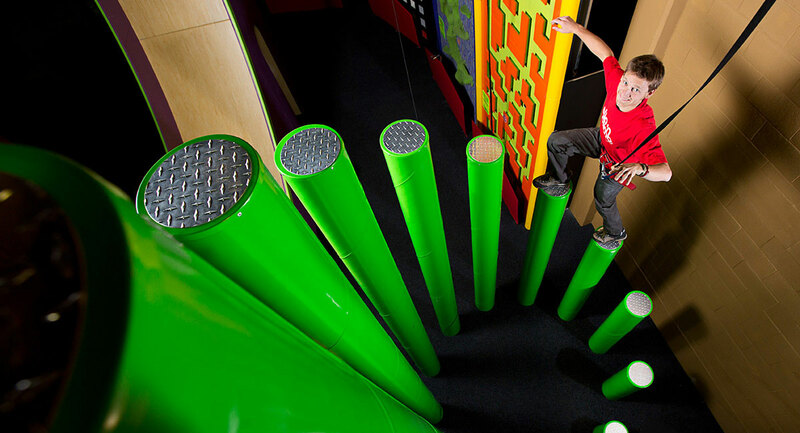 Clamber and scramble up and down our exciting and challenging Clip ‘n Climb obstacles. Do something VERY different. 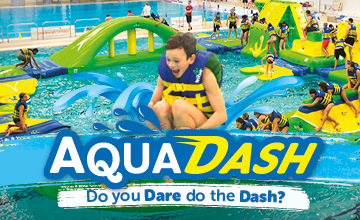 Experience our BRAND NEW activity for all ages with just the right balance of fun and adrenaline. Bring the whole family and let yourself go at EICA: Ratho. For an ‘out of the ordinary’ experience take a ride on the Vertical Drop Slide.